On Display? Yes, the Swigart Museum is open from Memorial Day through October 31. Visit their website for more details. 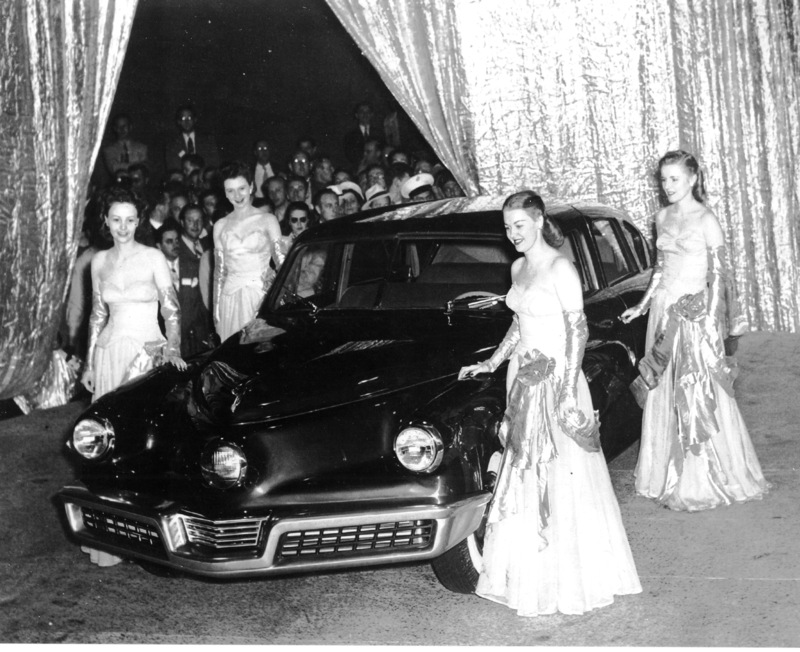 History: Original prototype automobile, built to showcase the innovative design and features of the upcoming production Tucker ’48 automobile. Completed and premiered on 6/19/1947 in Chicago. 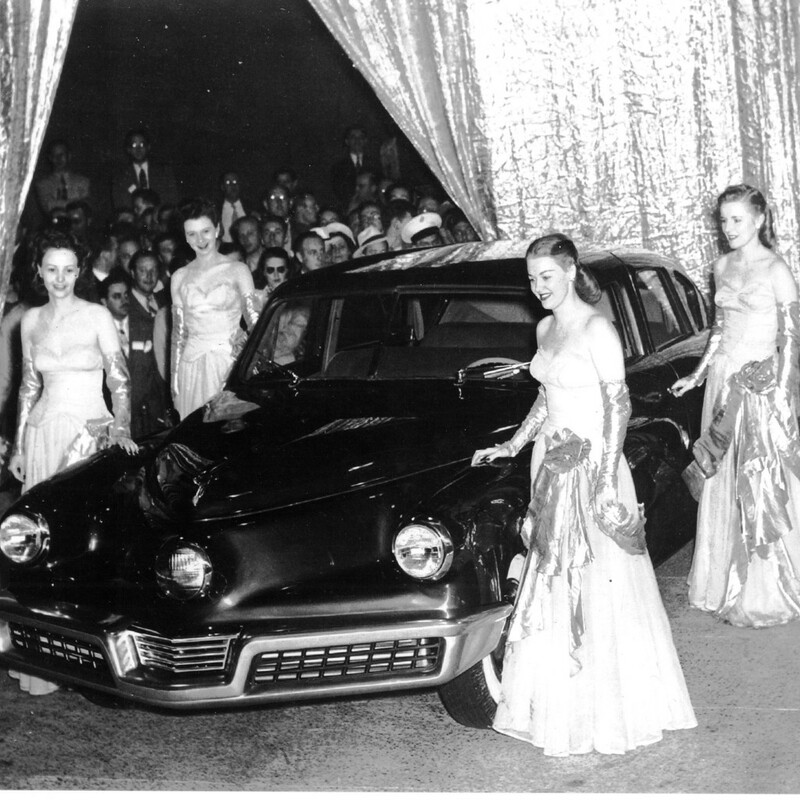 Significance: The 1947 Tucker ’48 Prototype, known as the Tin Goose, is nationally significant based on four criteria. 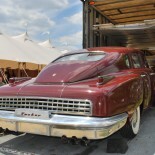 First, the Tin Goose is associated with important events in automotive and American history. 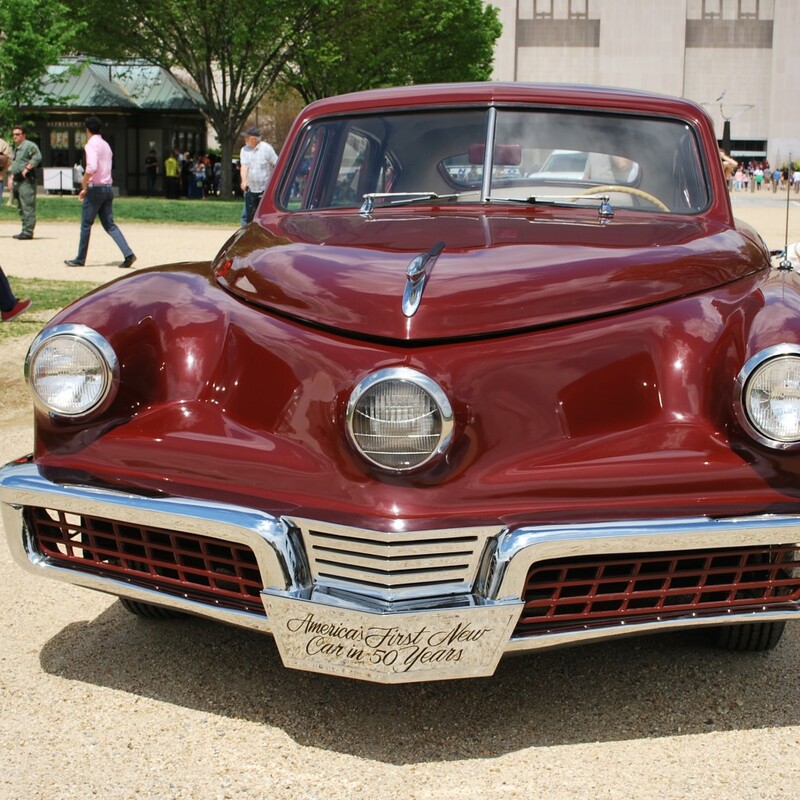 It played a central role in the rise and fall of the Tucker Corporation between 1947 and 1950. It was the first automobile built by the Tucker Corporation to promote the company to investors and dealers and was also an important part of a subsequent public controversy, Federal investigation and lawsuit that led to the company’s failure. Second, the Tin Goose is associated with a significant person in American history. Preston Tucker was an important automotive industry entrepreneur and was the founder of the Tucker Corporation that built the Tin Goose. Third, the Tucker exhibits significant design and construction value. The Tin Goose incorporated safety equipment and many innovative features that were not previously available in American production automobiles. 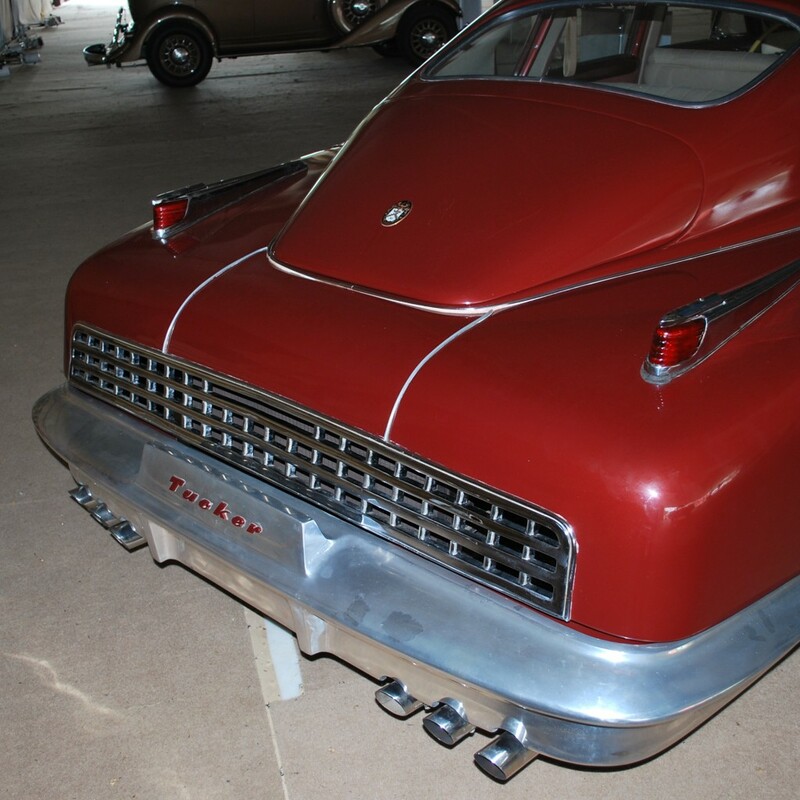 Fourth, the Tin Goose offers informational value as the first Tucker automobile constructed and as the prototype for the additional 50 Tucker automobiles eventually built. It retains much of its original materials, components and craftsmanship as well as, evidence of features and components that were modified during development. 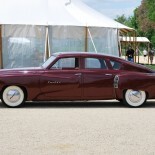 Description: The 1947 Tucker is a steel-bodied four-door fastback sedan. It features a body-on-frame construction with a perimeter-type chassis with a rear mounted engine and rear-drive configuration. The current engine is an aluminum 335 CID liquid-cooled, overhead-valve, longitudinally mounted, horizontally-opposed six-cylinder built by Air-cooled Motors, Inc. (Syracuse, NY). The engine is naturally aspirated with a dual-barrel Stromberg downdraft carburetor. A modified Cord four-speed manual transaxle is mounted forward of the engine and features an electro-pneumatic pre-selector shift mechanism. The automobile features independent suspension both front and rear. Transverse leaf springs now mount to the A-arms in the front and the rear where rubber torsion units were originally fitted. The torsion units remain in place on the rear of the car in addition to the leaf springs. Braking is provided by four-wheel hydraulic disc brakes. The automobile rides on aluminum (magnesium) dish-type 13- inch diameter wheels and bias-ply tires. The exterior of the automobile is painted a maroon color similar to its original color. The Tin Goose was restored in the 1980s and retains much of its original components and historic integrity. 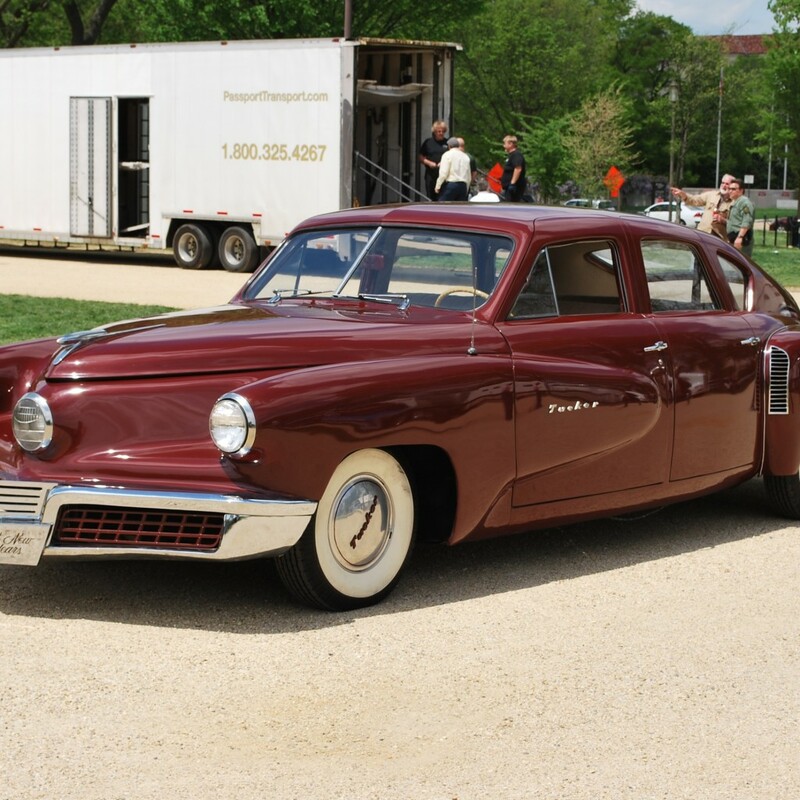 History: Preston Tucker officially founded the Tucker Corporation on July 8, 1946 to build “The first completely new car in 50 years.” The 1947 Tucker ’48 Prototype (Tin Goose) was constructed in the spring of 1947. 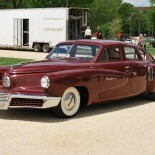 It was the first automobile produced by the Tucker Corporation and was a prototype for the Tucker ‘48 production cars. The Tucker ’48 automobiles were built with a number of innovations including: an aerodynamic fastback body style, sophisticated four-wheel independent suspension to improve handling, a powerful engine to enable high-speed travel and numerous features for passenger safety. 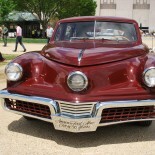 The Tin Goose was hand-built and incorporated many of the features promoted by the Tucker Corporation. It was constructed with parts from a 1942 Oldsmobile and featured a perimeter-type frame, four-wheel independent suspension, rear-engine layout and disc brakes. The aerodynamic body style is based on George Lawson’s initial design from 1946 that was subsequently modified and reworked by Alex Tremulis. 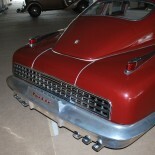 It also incorporated additional features, like the front bumper, designed by J. Gordon Lippincott & Company. 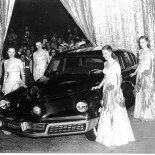 Beginning in April 1947, a team led by Herman Ringling crafted a body based off of the work by the many stylists contracted and employed by Tucker. The body was hand fabricated from steel panels and refined with lead body solder. The interior of the Tin Goose incorporated many safety features. These included a padded and minimalist dashboard known as the “crash-pad,” a safety compartment meant for passengers to climb into upon the threat of an impending crash, and an absence of potentially dangerous pointed trim pieces. 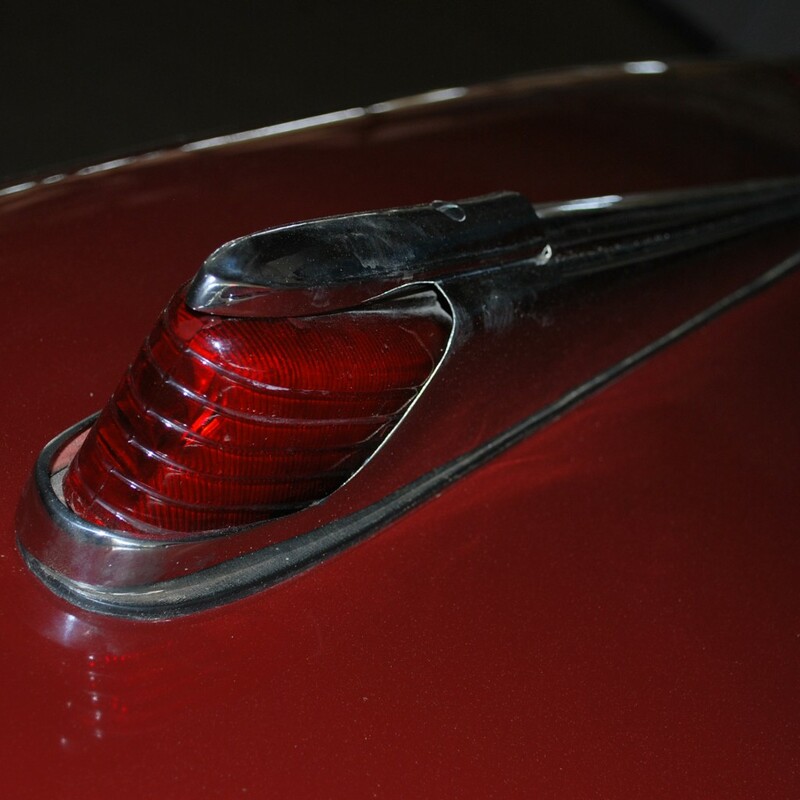 Other safety related features were the “Cyclops eye,” a center–mounted headlight that turned with the direction of the front wheels, a pop-out windshield and tempered glass windows. 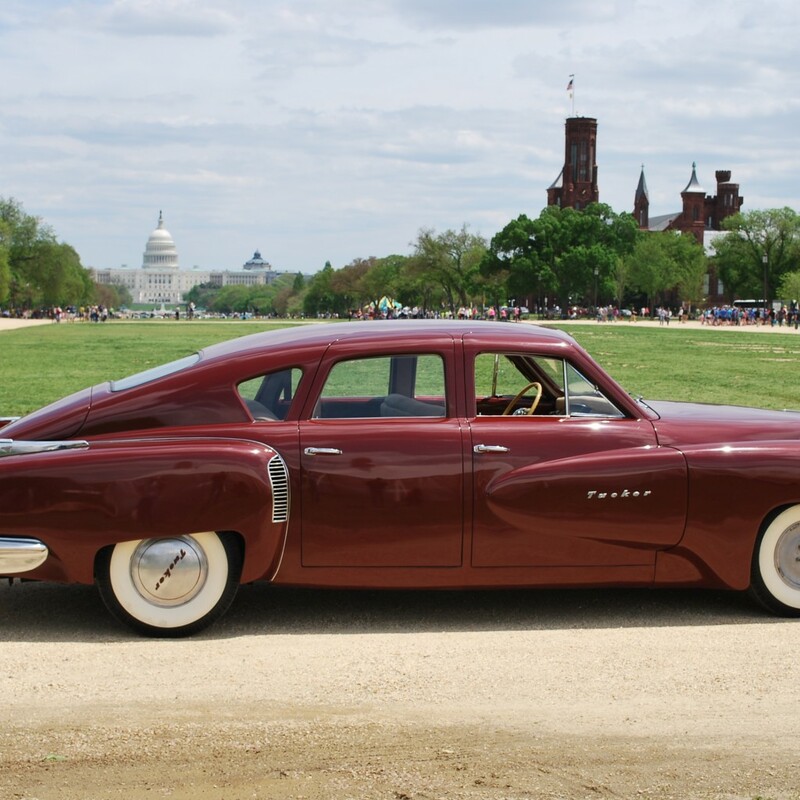 The original engine was a Tucker 589 CID horizontally opposed six-cylinder transmitting power through a pair of fluid couplings on each side of the transverse mounted engine, which matched initial specifications. 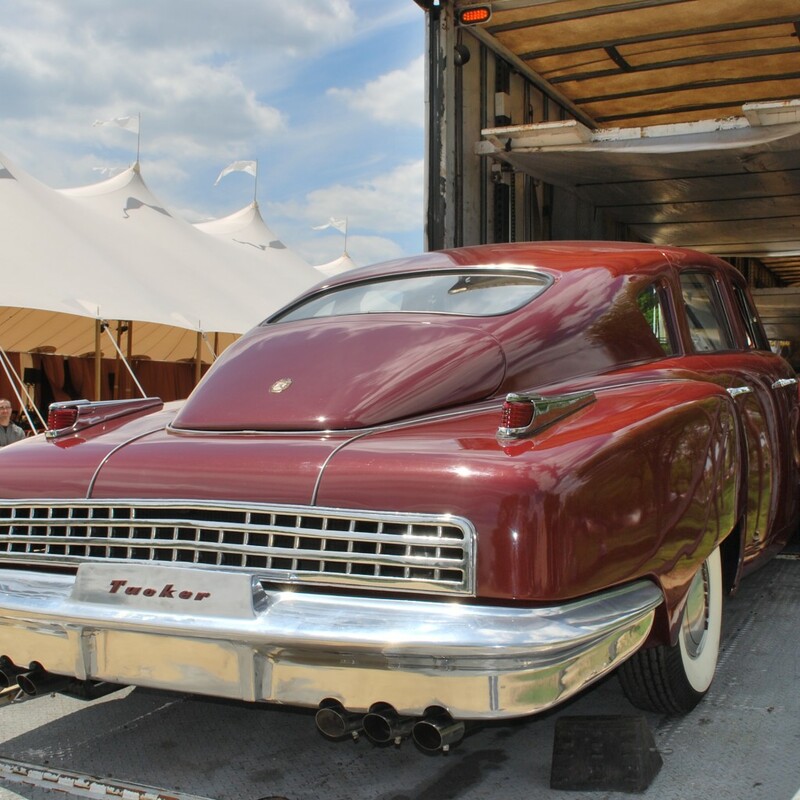 Project Information: The 1947 Tucker ’48 Prototype (Tin Goose) documentation was sponsored by the Historic Vehicle Association (HVA) and Historic Documentation Programs (HDP) in collaboration with the owner, the William E. Swigart Jr. Automobile Museum. Mark D. Gessler, President, HVA and Richard O’Connor, Ph.D., Chief of Heritage Documentation Programs directed the project. J. Lawrence Lee, Ph.D., P.E. was the project manager for the Historic American Engineering Record (HAER). HVA historian Casey T. Maxon prepared the overview history of the Tucker with assistance from historian John Tucker. Casey T. Maxon produced photographs. Annette Brown of 3D Engineers performed the fieldwork and Stuart Brown of 3D Engineers prepared the measured drawings. Hagerty Insurance Agency, Inc. provided funding to the HVA to support this project.